During the National Alliance for Grieving Children conference, Dr. Heidi Horsley talks with Brooke Griese of Judi’s House. As the Executive Director, she works with grieving children and families in Colorado. She co-founded the organization with her husband in 2002 in memory of his mother, Judi, who died of breast cancer when he was young. Children heal differently from adults, and don’t always have the best support systems. They need to connect with other kids, while having caring adults available on the sidelines. Integrating loss into your life in a meaningful way is a challenge no matter what your age. Finding ways to cope with this loss is critical, and often children aren’t equipped with this knowledge or the right tools. There are many rituals built into Judi’s House, because kids love predictability and rituals. Care and symbolism are pillars of Judi’s House. The Pathfinders Programs help to memorialize those who died while setting traditions. One tradition is to add a stone to the group after the session and say something about the person. Judi’s husband was 12 when his mother died. He found himself as a quarterback in the NFL years later, and knew he wanted to find a way to support other kids in grief. To help them know they aren’t alone was the goal of Judi’s House. Loss is normal, but it doesn’t seem that way as a child. He knew he could create a space and a place for kids to connect—along with their caregivers. 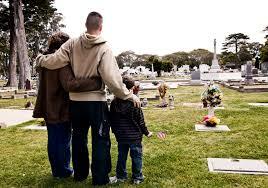 It’s a family issue, and everyone is grappling with the loss. Everyone needs ways to adjust after a loss, and caregivers need their own support system to help kids in grief. Another important note is that data show grief support works. There’s a large scale research initiative built into Judi’s House.